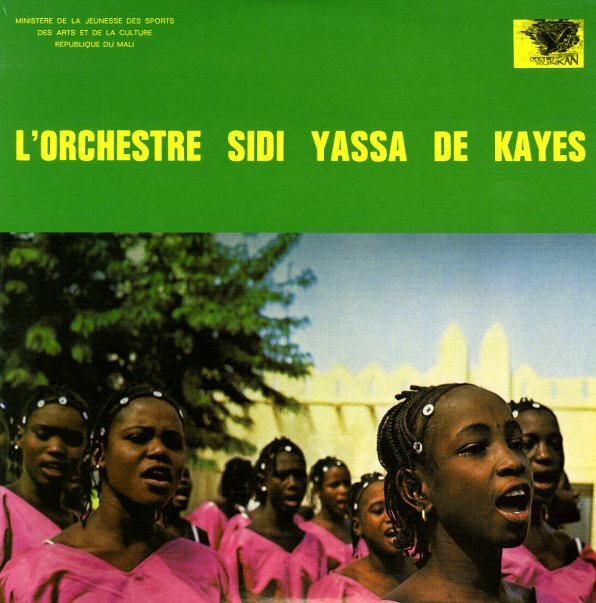 The one and only album by Mali's Sidi Yassa De Kayes – a beautiful group who really transcend any easy labels or genre conventions! The style here is almost more personal than some of the other large ensembles in Mali at the time – as the feel is pretty raw and up-close throughout, even though the recording quality is excellent – and the group moves with the same powerful cultural currents as some of their contemporaries. The vocals are really wonderful – soaring and spiritual in ways that recall South African material, but with a much rootsier feel, and an approach that's tied much more strongly to the excellent percussion that drives the whole album. Other instrumentation is largely from guitar and some really beautiful saxophone passages – the latter of which bring in both a soulful and exotic quality to the music. Titles include "Sebe Te Moyola", "Were Wereni", "Lali", "Penda", and "Sidi Yassa". © 1996-2019, Dusty Groove, Inc.